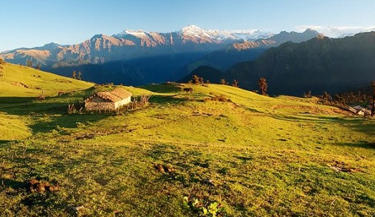 The Garhwal region of Uttarakhand boasts abundant natural beauty, emerald rivers, green-cloaked hills, snow-capped peaks and lush green forests. 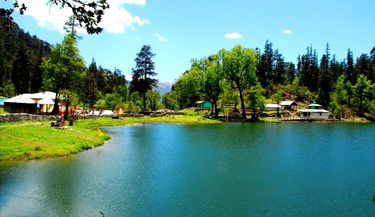 Sharing its northern boundary with Tibet, northwestern with Himachal Pradesh, eastern with Kumaon and southern boundaries with the state of Uttar Pradesh, Garhwal is cuddled up in pristine natural beauty and surplus options of adventure. 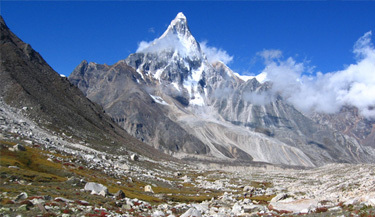 Trekking in the Garhwal Himalaya is one activity that adds to the adventure. 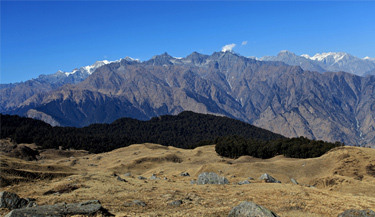 The beautiful trails and scenic views come as a reward after some strenuous trekking on rigorous trails. 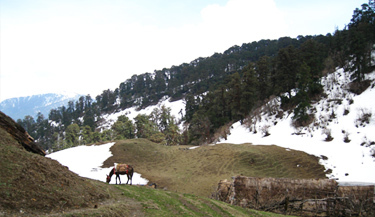 The trails in Garhwal can be divided into three categories based on the level of difficulty. 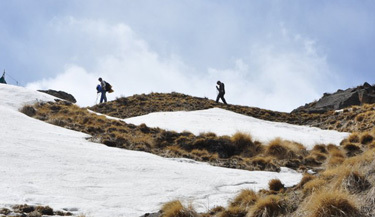 Needless to say that Garhwal is the home of many trekking trails. 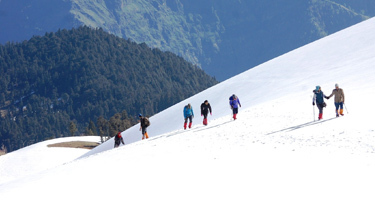 For beginners, Garhwal offers some great treks including Chandrashila Summit Trek (3925m), which is an easy 6 days trek that begins from Chopta. 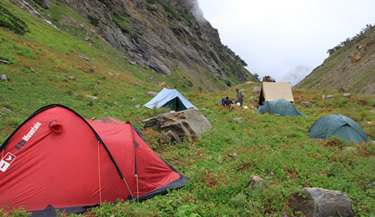 Har Ki Dun Trek (3556m), which is a 10 days trek, is reckoned to be one of the most popular treks in Garhwal. 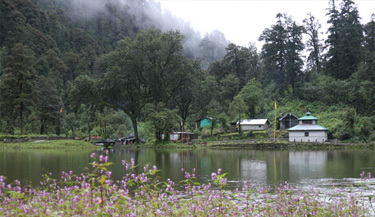 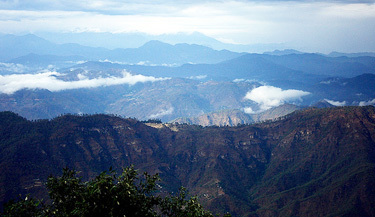 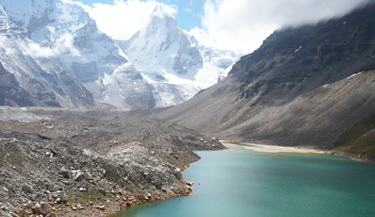 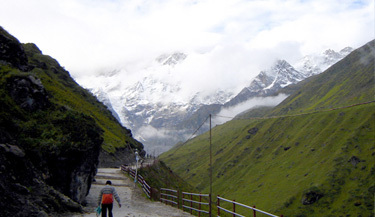 The trek is considered to be a fairly easy one and is ideal for nature lovers and beginners. 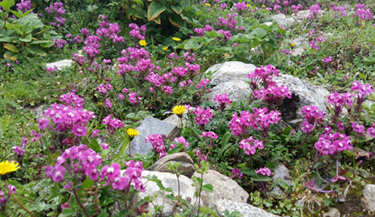 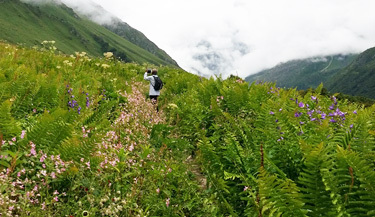 Valley of Flowers Trek (3858m) is another beautiful trek in Garhwal Himalaya. 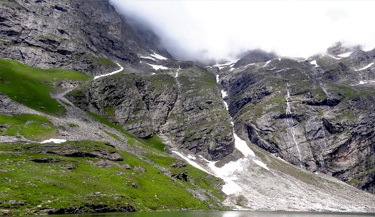 The trek can be completed in 7 days and begins from Govind Ghat, which is 22kms from Joshimath. 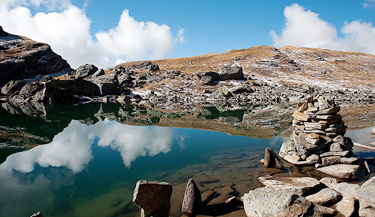 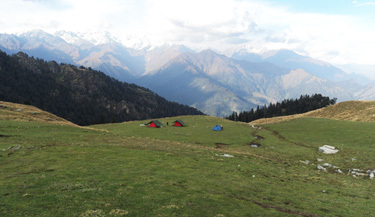 Dodi Tal Trek (3024m) is known as one of the easiest trekking routes and offers great adventure holidays in Garhwal. 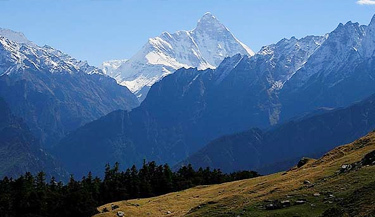 Trekking holidays in Garhwal charms the adventure aficionados with tricky paths, beautiful trails and outstanding views. 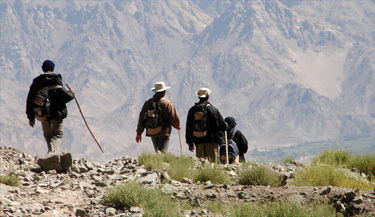 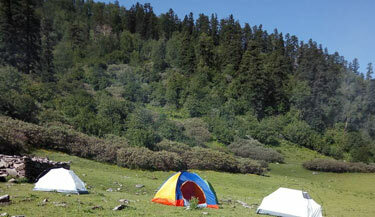 An expert trekker can choose from the many moderate treks in Garhwal. 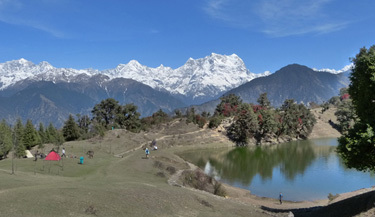 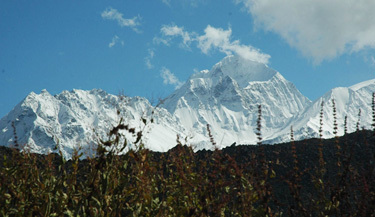 Nanda Devi Sanctuary Trek (4250m), a moderate trek takes about 10 days to complete. 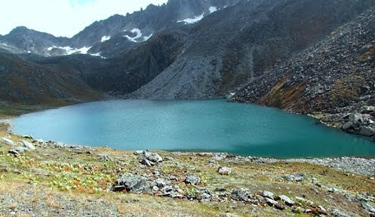 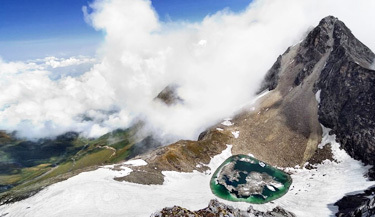 Roop Kund Trek (5029m) is a 9 days trek that begins from Wan, which is at a distance of 250kms from Haridwar. 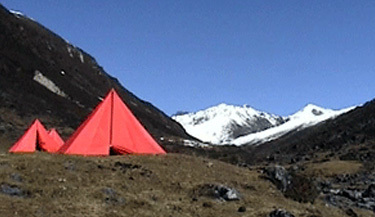 Covering Bedni Bugyal, Bagubassa, one can finally reach Roop Kund. 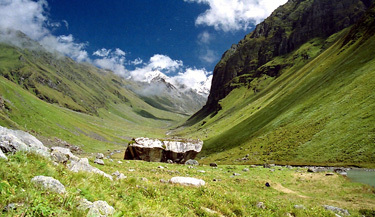 Kuari Pass Trek (3650m) is another popular trekking trail in Garhwal Himalaya. 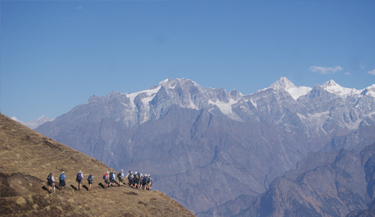 The trek begins from Sutol, which is about 224kms from Rishikesh. 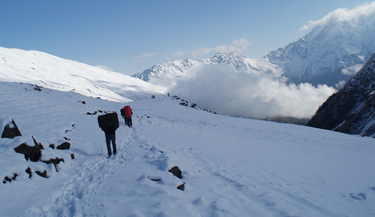 The adventure never ends in Garhwal, as there are many moderate treks that allow adventure seekers to get the best trekking experience. 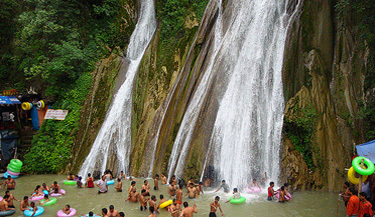 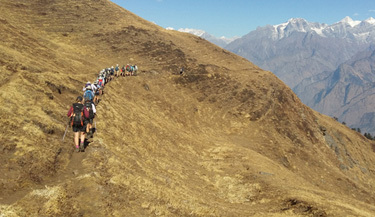 Panch Kedar Trek (17 Days Trek), Gangotri-Goumukh Trekking (11 Days Trek), The Kuari Pass - Roopkund Trek (18 Days Trek), The Kuari Pass - Tapovan Trek via Khulara (09 Days Trek), The Kuari Pass - Nanda Devi Sanctuary Trek (14 Days Trek) and The Kuari Pass Trek with Valley of Flowers (13 Days Trek) intrigues many foreign and domestic trekkers. 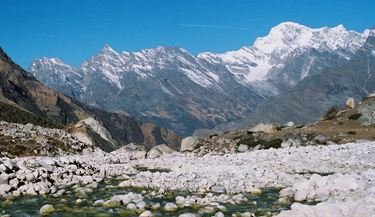 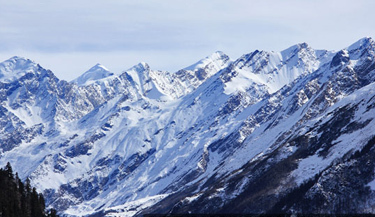 The Garhwal region has some of the most challenging trekking routes in Indian Himalaya. 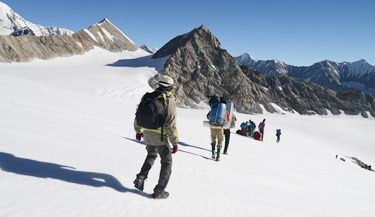 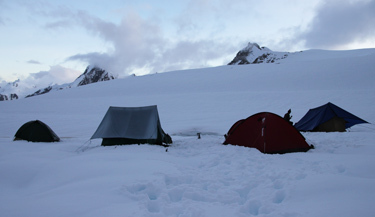 Often the rewards for such expeditions are the pristine vistas that are beyond imagination. 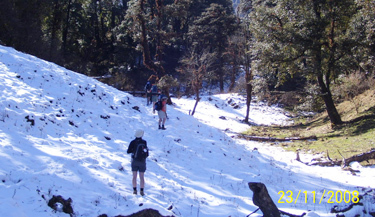 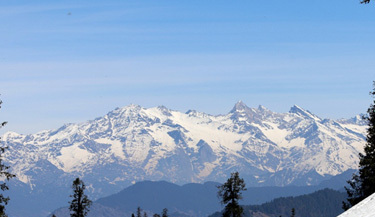 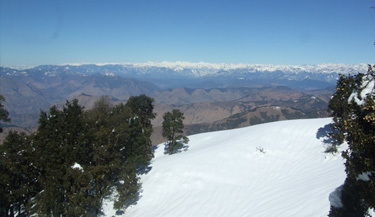 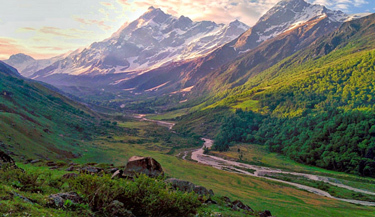 Kalindikhal Pass Trek is one of the most difficult treks in the Garhwal Himalaya. 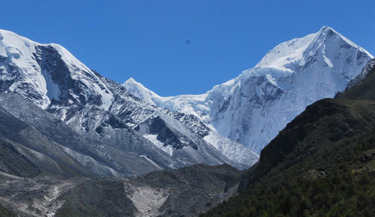 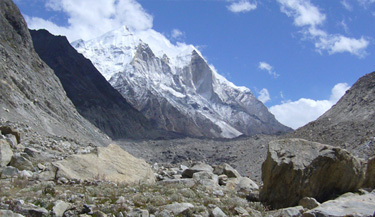 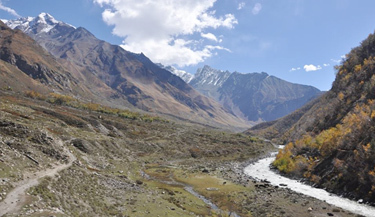 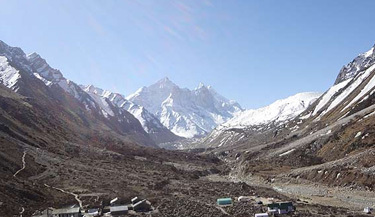 Situated at an altitude of 5900m, the trek for this pass begins from Gangotri. 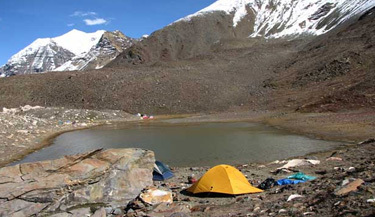 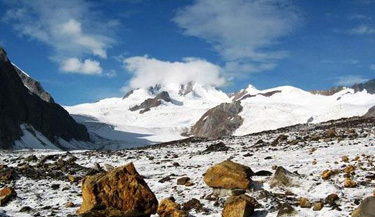 Auden's Col Trek (5400m) is a 20 days trek, which is one of the most strenuous treks in Garhwal Himalaya. 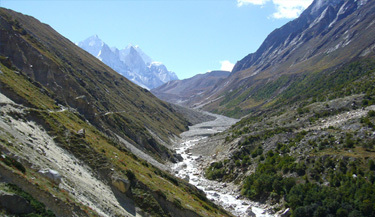 The trek begins from Bhojwassa. 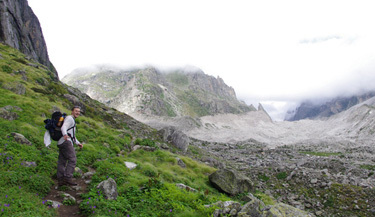 These difficult treks in Garhwal offer the trekker a splendid option to face and overcome the extremes of adventure. 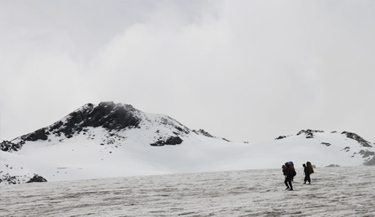 Most of the treks require expertise, patience and determination. 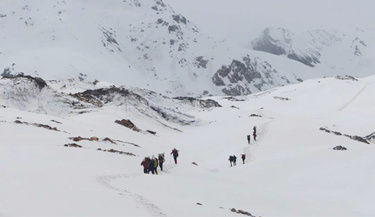 The two other adventure treks other than the above mentioned treks are Shivling Trek (16 Days Trek) and Khatling Sahasratal (17 Days Trek).